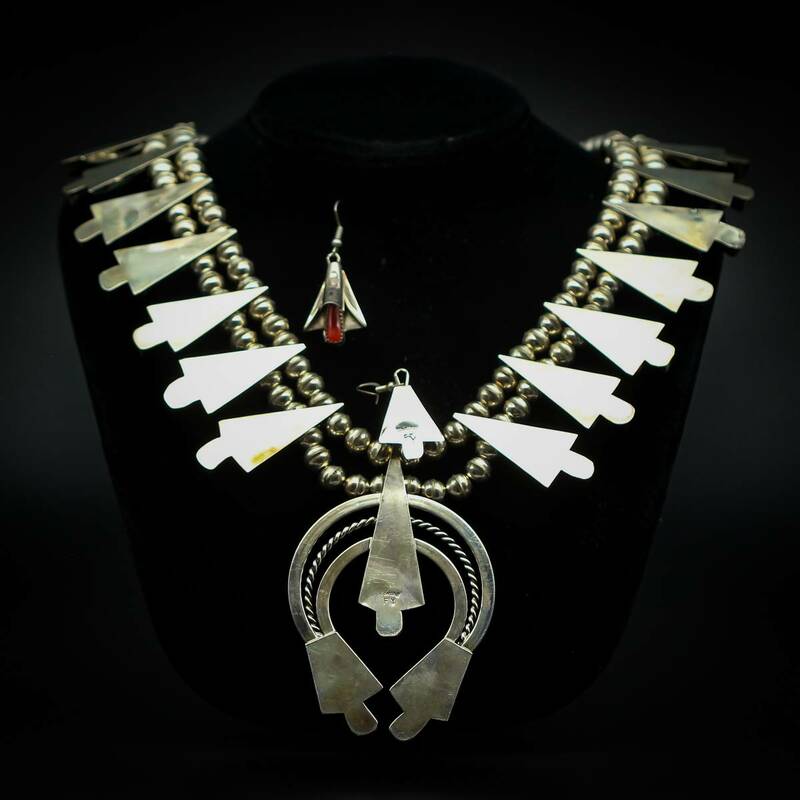 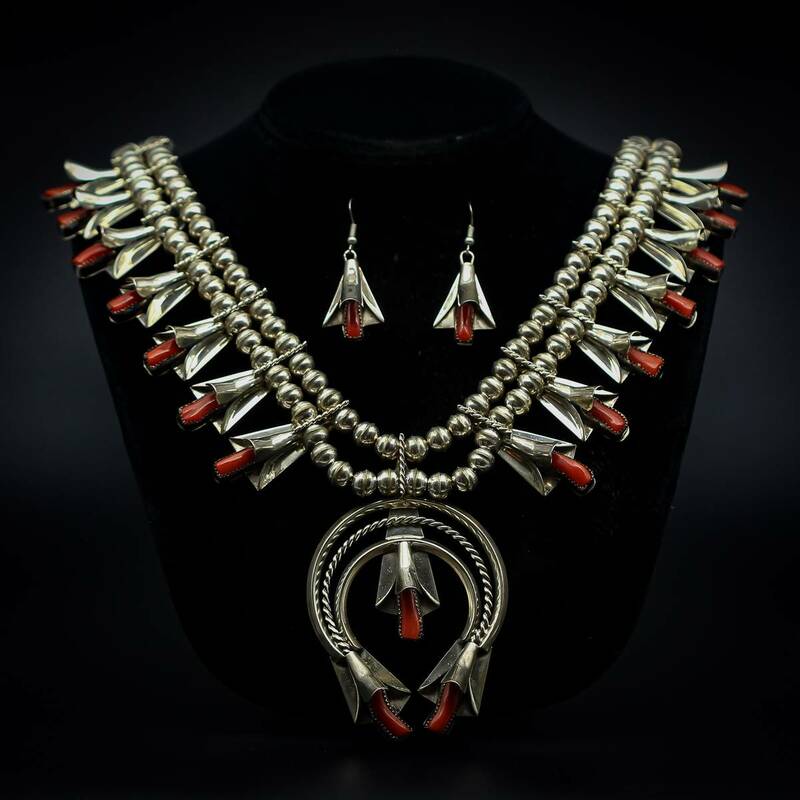 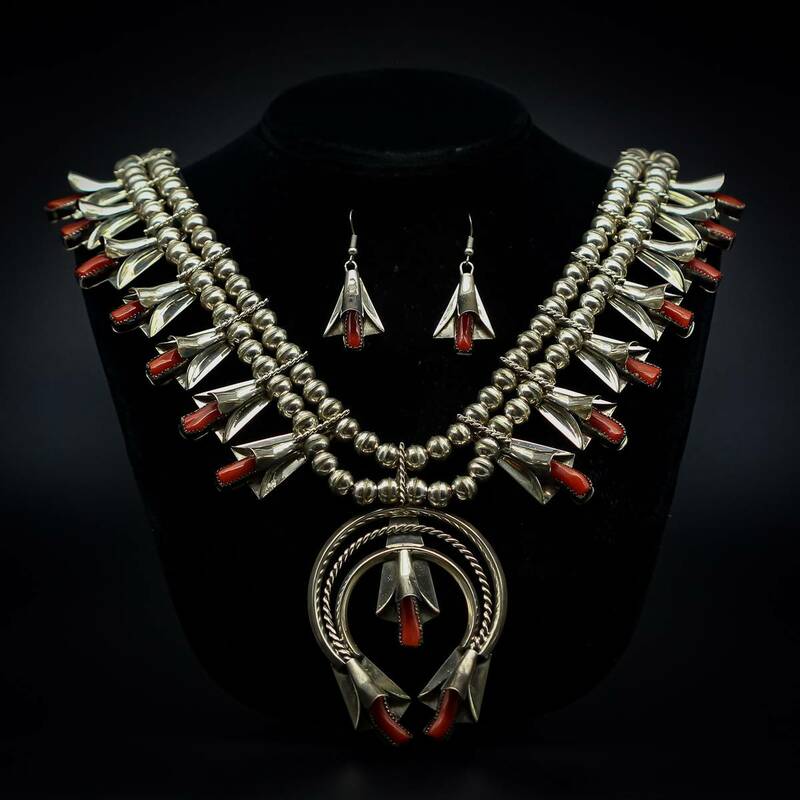 Coral Squash Blossom Necklace & Earring Set By Frank Yazzie. Naja Measures 2 3/8" x 3". 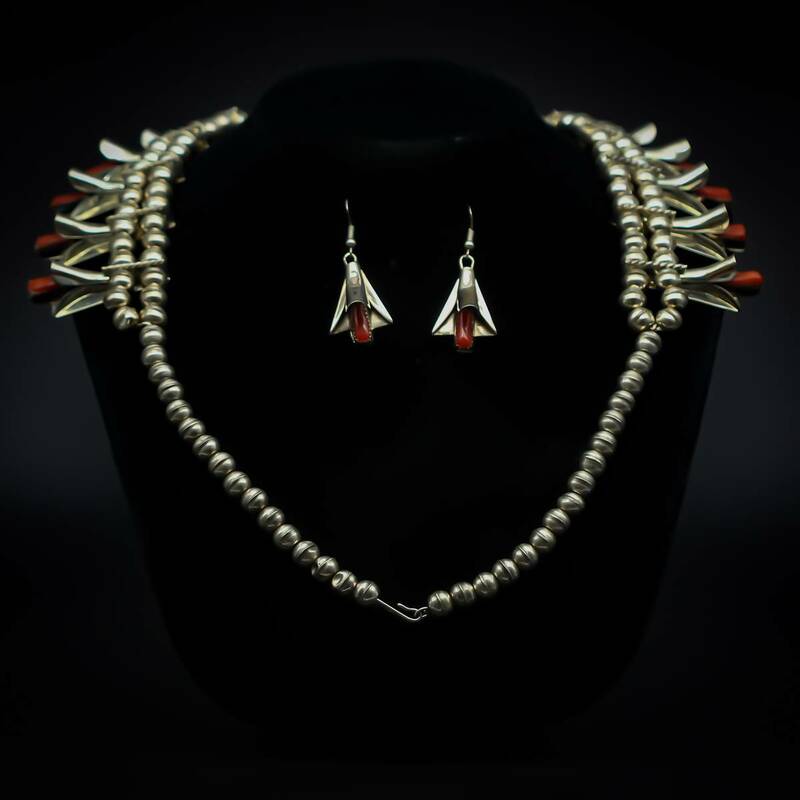 Dangle Earrings Measure 3/4" x 1".